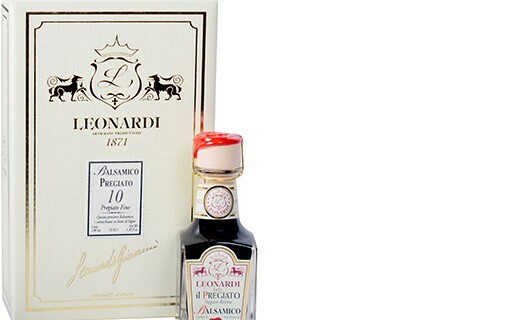 Unlike the balsamic vinegar, balsamic condiment is made from 100% cooked grape must. It is infused with flavours of wood species due to the period of acidification which occurs after cooking grape must. Very soft and fruity, it has a long finish that is appreciated. The greatest fans will even taste it with a spoon! 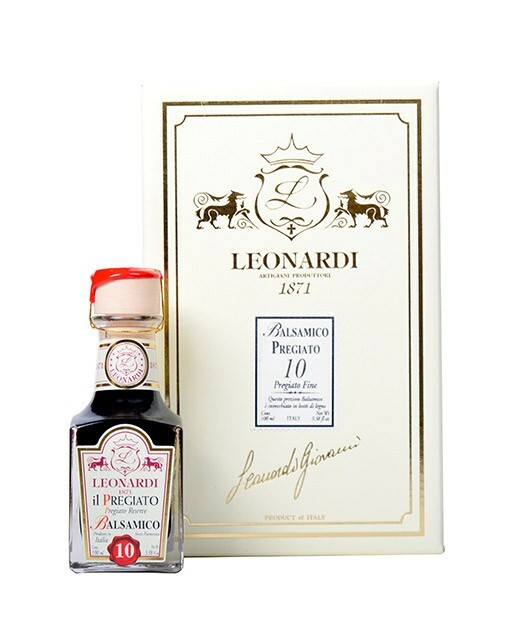 The balsamic condiment Il Pregiato has been aged for 10 years in precious wooden barrels (oak, chestnut, cherry). Its flavours are very concentrated with some fruity notes.